We are an eclectic team of innovators, technologists, operators, and business leaders. Katie Van Den Bos is the CEO of Ask Media Group. Prior to this role, Katie was the Senior Vice President of Digital Marketing, responsible for the multi-million dollar in-house marketing program for IAC’s premium content brands. Katie joined the Ask.com SEM team in 2012 as Director of SEM where she led the launch of new marketing programs, including SEM programs for About.com and Shop411. Prior to joining the marketing team, Katie was Director of Monetization for Ask.com. In this role, she led website testing and explored new revenue streams for the company. Prior to joining IAC, Katie worked at AOL from 2003-2010 where she held a number of roles in business planning and analysis. Katie received her B.A. from Yale University and her MBA from University of Maryland, College Park. David is responsible for the teams and technology behind Ask Media Group’s systems and digital properties. He has been developing software and managing engineering organizations for over 30 years, and has experience in digital media, ad tech, SaaS platforms, web infrastructure, ecommerce, financial systems, and scientific computing. Prior to Ask Media Group, David served as chief technology officer for Get Satisfaction, a leading online community platform (acquired by Sprinklr in 2015). 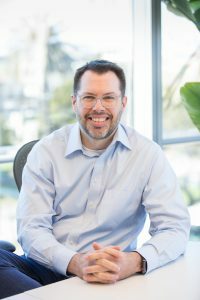 Before that, he served as vice president of products and services for the mobile business unit at Limelight Networks, and has held executive and technical roles at startups (Kiptronic, SNOCAP, Kenamea) and established companies (Fair Isaac, Varian Associates, and Bio-Rad Laboratories). 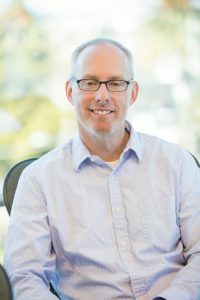 Over the course of his career, David has contributed to several patents involving novel approaches to ad serving, object delivery, and ecommerce. He received a BS in Information and Computer Science from the University of California, Irvine. Shane is responsible for traffic and revenue growth initiatives, overseeing product development and content, distribution, and revenue partnerships across AMG’s portfolio of sites. 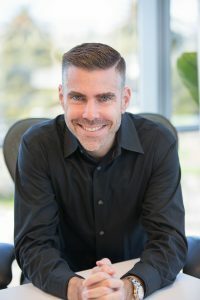 With over 20 years of digital media experience, Shane has held prior General Management and marketing roles at CBS Interactive, and previously served on the Ask.com executive team from 2000 to 2014 running analytics, product, and marketing. In addition to his role at Ask Media Group, Shane is also a board member and advisor to several Bay Area technology start-ups. He holds a B.A. in International Relations from the University of California at Davis. Kevin oversees all financial and strategic planning and reporting for Ask Media Group. He joined IAC Search & Media in 2006 in the corporate planning group, supporting all IAC Search & Media businesses – including Ask.com, Ask Partner Network, Ask Sponsored Listings, Mindspark, IAC Ad Solutions, and Evite. Kevin also previously held senior positions at Kaiser Permanente, DS Waters, Kinko’s and Nortel Networks. He received a B.S. from California Lutheran University and an M.B.A. from Pepperdine University. Paul leads the SEM team for Ask Media Group, managing PPC efforts across a host of our search properties. Paul joined the SEM team in 2012 as a data analyst. In this role, Paul led the team’s testing and data analysis to develop a unified bidding system. Before joining the marketing team, Paul also held roles at IAC as a business analyst and statistician. Paul worked in the mental health field before joining IAC, and received his doctorate in Psychology from the California School of Professional Psychology. Aron leads the teams who provide the building blocks for our applications and a set of products that leverage their capabilities. These teams cover front end and micro-services platforms, SEM campaign management systems, BI, data science products and data platform solutions. Aron joined IAC in 2008 as Site Production Manager tackling the improvement of incident response and problem management. In subsequent positions, he led the alignment of the private cloud strategy and the effort to unify and modernize the data platform strategy. Aron served as the technical lead for the migration of all applications from our VM-based private cloud to Kubernetes on AWS. Prior to joining IAC, Aron worked at Macys.com for 10 years in a variety of roles, including that of enterprise architect. Lisa brings more than 25 years of experience in Human Resources across multiple industries to IAC Publishing where she oversees HR function and operations globally for IAC Publishing and its portfolio of brands including Ask Media Group, Dictionary.com, Investopedia, and The Daily Beast. She currently manages the development and reengineering of departmental and company-wide HR standards, policies, procedures and systems globally in USA, Canada, Ireland, UK (and in the past locations included Latvia, Germany, Sweden, Denmark, China, France, Japan, South Korea and more). Lisa executes the M&A HR strategy (including pre and post-acquisition) and owns the P&L for all HR functions globally (including immigration, HR, and recruiting). 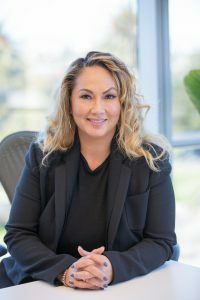 Prior to Ask, Lisa served as the Sr. Director of Human Resources for MarkLogic Corporation where she was responsible for all Human Resources functions globally. She has also held HR positions with companies including Mindspark, Chevron, Art Technology Group (ATG) and Netpulse Communications. Lisa is a member of the Society for Human Resources Management (SHRM) and of the Northern California Human Resources Association (NCHRA). Lisa is a trusted advisor to nonprofit Berkeley Youth Alternatives and active in charitable ventures with the American Brain Tumor Association. Nicky oversees product initiatives for Ask Media Group’s portfolio of websites. In this role, he leads the creation of new websites and content experiences for Ask Media Group. Prior to joining the product team, Nicky was Director of SEM, where he was responsible for managing existing marketing programs and launching new marketing initiatives. Previously, Nicky held various roles in display and performance marketing at Nextag. Nicky holds a B.S. in Chemical Engineering from the University of Rochester.